The Public Sector Pension Investment Board (PSP Investments) announced today a gross total portfolio return of 14.5% for the fiscal year ended March 31, 2015 (fiscal year 2015). For the 10-year period ended March 31, 2015, PSP Investments' net annualized investment return reached 7.6% or 5.8% after inflation, significantly above the net long-term rate of return objective used by the Chief Actuary of Canada for the public sector pension plans, which averaged 6.0% or 4.2% after inflation for the period. The investment return for the year exceeded the Policy Portfolio Benchmark rate of return of 13.1%, representing $1.5 billion of value added. 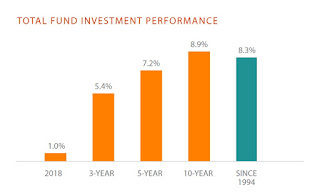 In Fiscal 2015, all portfolios achieved solid performances, the majority generating double digit investment returns. "We are pleased with these strong returns in a year that saw the appointment of a new Chair in November 2014 and the arrival of André Bourbonnais, our new President and CEO, at the end of March 2015," said Michael P. Mueller, Chair of the Board of PSP Investments. "This performance attests to the strength and depth of the organization and its senior management team and to the quality of its corporate governance." "I wish to highlight the contribution of two of our key people whose efforts were crucial to keeping us on course to record these strong results; namely, John Valentini, who led us with great poise during his tenure as Interim President and CEO, and Cheryl Barker, who stepped up solidly in her role as Interim Chair during a large part of the year," added Mr. Mueller. "I wholeheartedly embrace PSP Investments' important social mission of contributing to the long-term sustainability of the public sector pension plans for the ultimate benefit of the contributors and beneficiaries," said André Bourbonnais, President and CEO of PSP Investments. "I intend to build on the strength and depth of our organization to deliver on that mission. 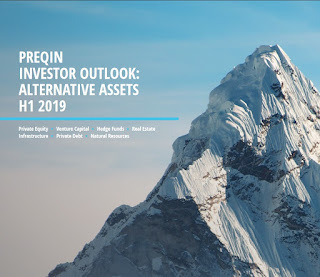 With the projected growth in assets -, this will undoubtedly involve expanding into still more asset classes, transforming PSP Investments into a truly global pension investment manager with a local presence in select international markets and supplementing the organizational structure to better capture opportunities at the total fund level." In fiscal 2015, PSP Investments' net assets increased by $18.3 billion or 20%. These gains were attributable to a combination of strong investment performance and net contributions. Net assets at the end of fiscal 2015 exceeded the $100-billion threshold to a record $112.0 billion. PSP Investments generated profit and other comprehensive income of $13.7 billion in the latest fiscal year. Over the past five-year period, PSP Investments recorded a gross compound annualized investment return of 11.7% and generated $43.3 billion in investment income. 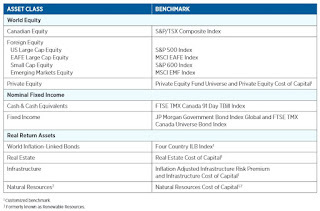 For fiscal 2015, Public Markets Equities returns ranged from 7.2% for the Canadian Equity portfolio to 29.5% for the US Large Cap Equity portfolio. The Fixed Income portfolio generated a return of 9.4% while the return for the World Inflation-Linked Bonds portfolio was 16.9%. 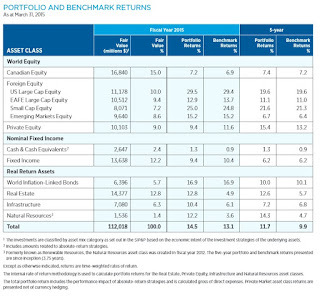 In 2015, all Private Markets asset classes achieved strong investment returns. 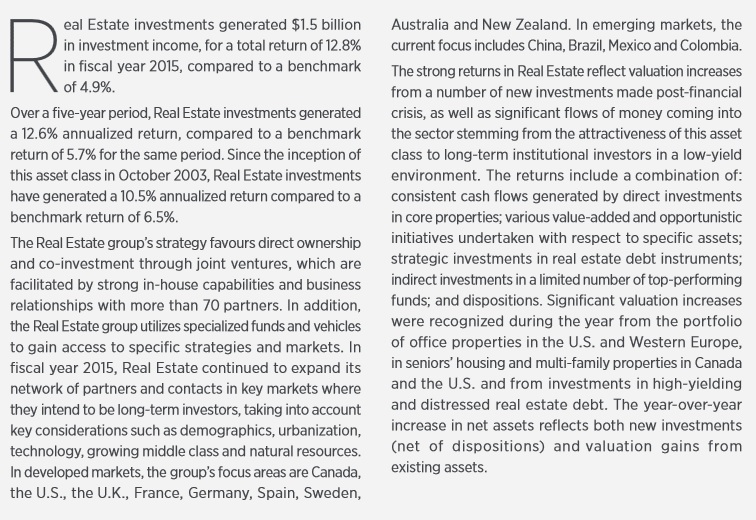 Real Estate and Natural Resources1 led the way with returns of 12.8% and 12.2%, respectively. Infrastructure posted a 10.4% investment return while the Private Equity portfolio investment return was 9.4%. The asset mix as at March 31, 2015, was as follows: Public Markets Equities 50.2%, Fixed Income and World Inflation-Linked Bonds 17.9%, Real Estate 12.8%, Private Equity 9.0%; Infrastructure 6.3%; Cash and Cash Equivalents 2.4% and Natural Resources 1.4%. Public Sector Pension Investment Board, one of Canada’s biggest pension funds, said Thursday it generated a 14.5% return in fiscal 2015, beating its internal benchmark on strong gains across public and private asset classes. PSP Investments had 112 billion Canadian dollars ($86 billion) in assets under management for the year ended March 31, surpassing the C$100 billion mark for the first time. The latest result is up from $93.7 billion a year earlier and reflects a combination of investment returns and pension contributions. Gains in large-cap U.S. stockholdings, inflation-linked bonds and private investments—including real estate, natural resources and infrastructure—helped the Montreal-based pension fund exceed its internal benchmark return of 13.1%. The strong performance was consistent with benchmark-beating gains by several of Canada’s biggest pension funds in their latest annual periods, including Canada Pension Plan Investment Board, Caisse de dépôt et placement du Québec and Ontario Teachers’ Pension Plan. But a combination of high valuations across public and private asset classes, lower crude prices, China’s slowing economic growth and uncertainty over any fallout from Greece’s debt woes increases the risks to these strong returns continuing. André Bourbonnais, PSP Investments’ newly appointed chief executive, acknowledges some assets are relatively expensive, but that challenge won’t put the fund on the sidelines. “Prices are way up there, but there are still pockets of value…and the worst thing we can do is stand still and be paralyzed by this market,” Mr. Bourbonnais said in an interview. The pension fund executive took over the top job at the end of March, joining from CPPIB where he headed private investments. To protect against a potential downturn, for example in private assets, PSP Investments is investing in convertible debt and structuring investments in ways that reduce potential returns but also offer some protection, he said. Since joining PSP Investments, Mr. Bourbonnais has worked to foster greater cooperation among investment groups and has created a chief investment officer position to help identify investment themes.“One of the big themes we are thinking about is innovation and how do we play innovation: do we buy public stock; do we try to find private companies; do we buy (real estate) in Palo Alto?” he said. PSP Investments plans to open new offices in New York and London in the coming months to establish investment teams specializing in illiquid credits and private equity, respectively. “Developing an international footprint in key markets will help us benefit from local knowledge…and allow us to be closer to our partners,” Mr. Bourbonnais said. 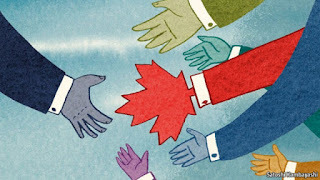 Public Sector Pension Investment Board will open offices in New York and London and is eyeing Asia as part of the Canadian fund’s plan to double its C$112 billion ($86 billion) in assets over the next decade. PSP plans to build a loan-origination business in New York and private-equity operations in London this year, Andre Bourbonnais, chief executive officer of PSP, said in a phone interview Thursday. PSP, which oversees the retirement savings of federal public servants, including the Royal Canadian Mounted Police, follows other domestic pension funds bulking up operations overseas. The U.S. and Europe are presenting the greatest opportunity for investment in challenging markets where many investors are chasing deals, he said. The fund returned 15 percent on its investments in the year ended March 31, 2015, and increased the value of its assets under management by 20 percent over the year, according to a statement Thursday. Bourbonnais took over as chief executive of PSP in March after serving as global head of private investment at Canada Pension Plan Investment Board. He said he has already implemented measures within the organization aimed at breaking down barriers between the pension plan’s various departments so it can compete more effectively. 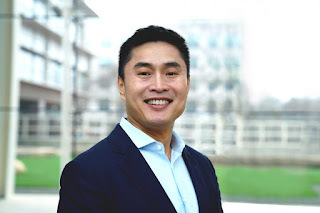 PSP has also created a new chief investment officer position, and has reorganized its debt and credit functions under one roof and its private investment arms under another, he said. Mr. Bourbonnais is right, PSP was mostly built from the bottom up and his predecessor, Gordon Fyfe, didn't have the foresight to hire a chief investment officer, preferring instead to wear both hats of CEO and CIO (which he is now doing at bcIMC). To be fair, Gordon did create an Office of the CIO and had the brains to hire my former colleague Mihail Garchev and a few other analysts, but it was woefully under-staffed and desperately needed new direction and more "synergies" between public and private markets. The person now responsible for leading this group is Daniel Garant who came to PSP back in 2008 from Hydro-Québec where he was their CFO to head PSP's Public Markets. According to PSP's website, Mr. Garant was just appointed CIO this July. Apart from appointing Mr. Garant CIO, Mr. Boubonnais also recently promoted Anik Lanthier to the position of Senior Vice President, Public Equities and Absolute Return. She is now part of senior management at PSP. Also worth noting that Derek Murphy, the former head of Private Equity, is no longer with PSP. He left the organization soon after Mr. Bourbonnais got to PSP in early April after being appointed in late January. Neil Cunningham, the Senior Vice President and Global Head of Real Estate Investments is now acting as the Interim Senior Vice President, Global Head of Private Investments. Now that we got those HR issues out of the way, it's time to go over PSP's fiscal 2015 results. I urge you all to take the time to read PSP's 2015 Annual Report. It is extremely well written and provides a lot of useful information on investments and other activities at PSP during fiscal 2015. 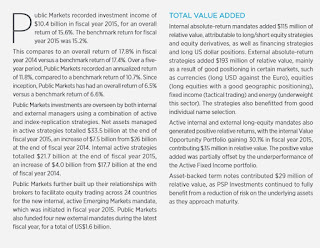 As you can see, there were strong returns across Public and Private Markets in fiscal 2015. Returns of global public equities were particularly strong, especially in the U.S. (+29.5%) where the boost from the USD also helped bolster the Public Equity portfolio (PSP indexes its large cap U.S. equity exposure). U.S. Large Cap Equity, which is indexed, delivered solid gains (+29.5%) and were boosted by the surging U.S. dollar. 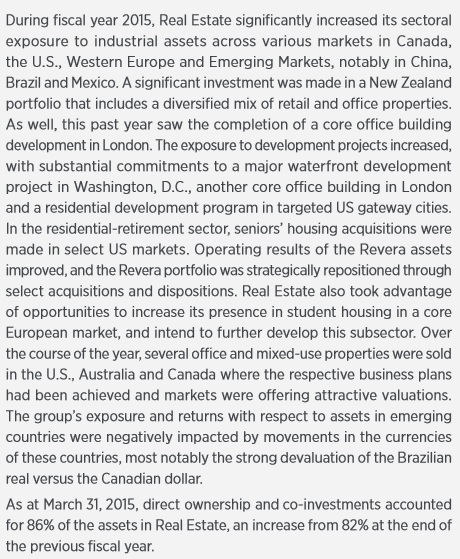 Emerging Markets Equity, which are also indexed, delivered solid gains of 15.2% in FY 2015. EFEA Large Cap Equity which isn't indexed and managed internally, underperformed its benchmark by 80 basis points in fiscal 2015 (12.9% vs 13.7%). 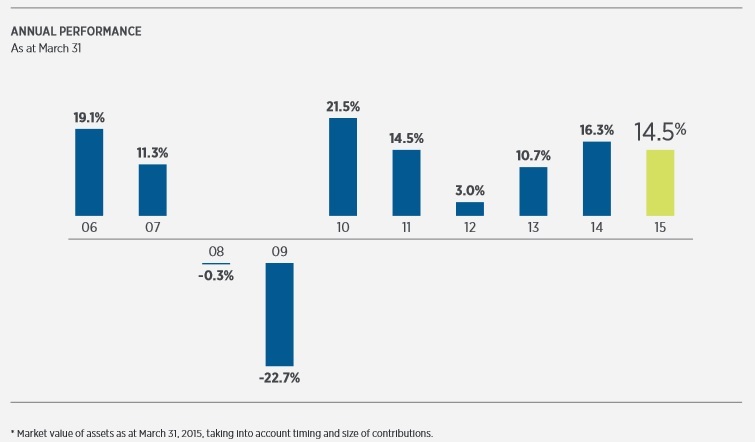 Over a five-year period, however, this portfolio is on par with its benchmark (11.1% vs 11%). 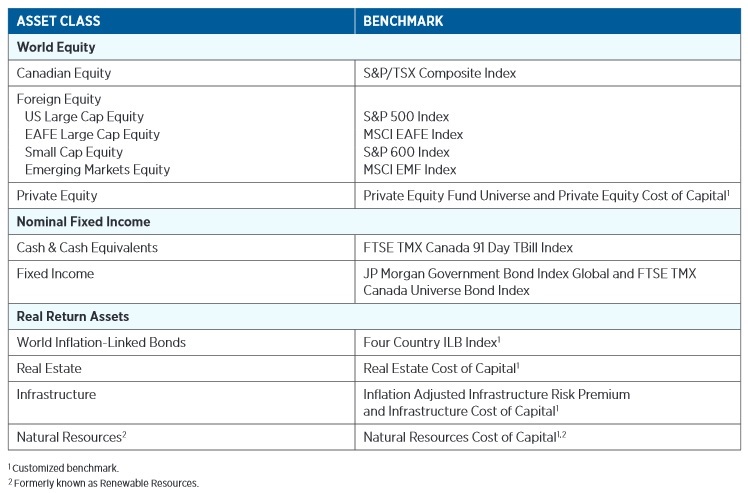 Canadian Equity portfolio slightly outperformed its benchmark by 30 basis points (7.2% vs 6.9%) as did the Small Cap Equity portfolio, gaining 20 basis points over its benchmark (25% vs 24.8%). Fixed Income underperformed its benchmark by 70 basis points in fiscal 2015 (11.7% vs 12.4%) as strong gains in World Inflation-Linked Bonds (+16.9%), which are indexed, were offset by weak performance elsewhere. 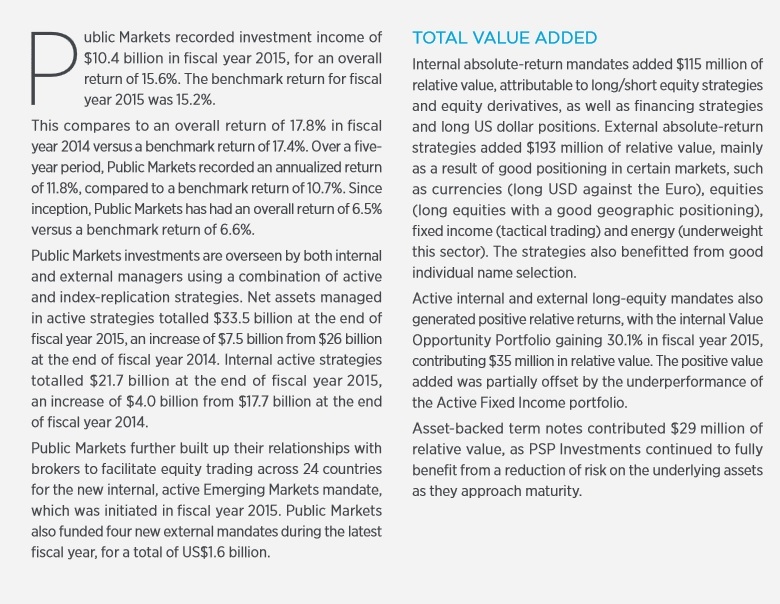 On page 23 of the Annual Report, it states that the "underperformance can be explained by the positioning of the Fixed Income portfolio to take advantage of rising US and global rates" (good luck with that call, especially if global deflation hits the world economy). There was a good balance between internal and external absolute return mandates, with the former adding $115 million of relative value and the latter adding $193 million of relative value. Good positioning on the USD vs the euro, geographic and sector calls (like underweighting energy) and fixed income relative value trading all added to absolute returns in fiscal 2015. The internal Value Opportunity portfolio gained 30.1% in fiscal 2015, contributing $35 million in relative value. The positive added value was partially offset by the underperformance of PSP's Active Fixed Income portfolio. Asset-backed term notes contributed $29 million in relative value, as PSP continued to benefit from a reduction of risk on the underlying assets as they approach maturity. Real Estate, where the bulk of the private assets are concentrated, significantly outperformed its benchmark by 790 basis points (12.8% vs 4.9%) in fiscal 2015. 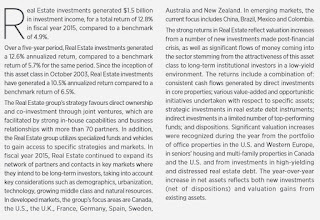 Net assets of the Real Estate portfolio totalled $14.4 billion at the end of fiscal year 2015, an increase of $3.8 billion from the prior fiscal year. Over the last five fiscal years, Real Estate has gained 12.6%, far outpacing its benchmark return of 5.7%. These gains relative to the RE benchmark accounted for the bulk of the value added at PSP over this period. There were also strong gains in Infrastructure (10.4% vs 6.1%) and Natural Resources (12.2% vs 3.6%) relative to their respective benchmarks. The only private market asset class that underperformed its benchmark was Private Equity, gaining 9.4% in fiscal 2015 versus its benchmark return of 11.6%. Still, over the last five fiscal years, Private Equity has managed to gain 220 basis points above its benchmark (15.4% vs 13.2%). Once again, there were spectacular gains in private markets -- especially in Real Estate, Infrastructure and Natural Resources -- relative to their respective benchmarks. I will tell you right away the benchmarks for Real Estate, Natural Resources and to a much lesser extent Infrastructure (respective cost of capital), do not reflect the risks of the underlying portfolio, especially in Real Estate. 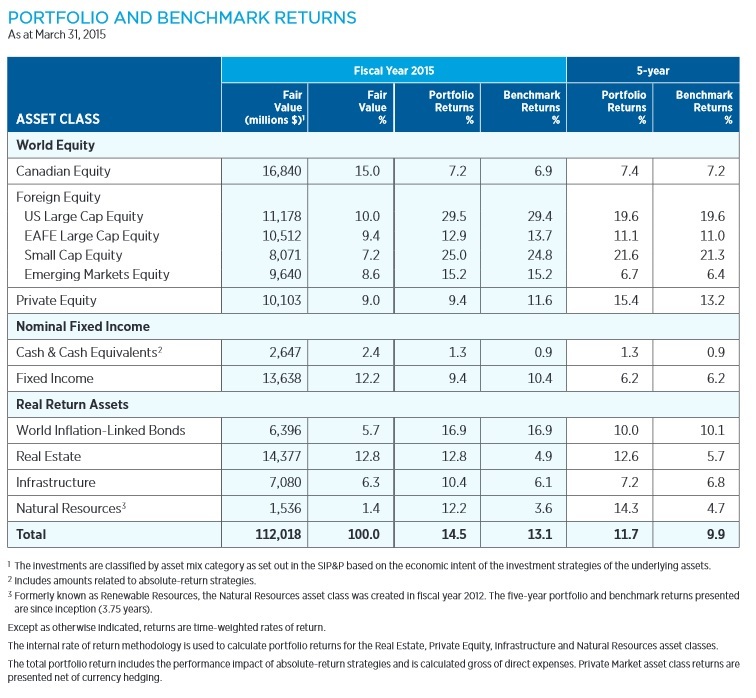 At least Private Equity cleaned up its benchmark to now include Private Equity Fund Universe plus its cost of capital. The benchmark for PSP's Real Estate portfolio is particularly egregious given that it's gotten easier to beat since my time at PSP and since I wrote my second blog comment back in June 2008 on alternative investments and bogus benchmarks. 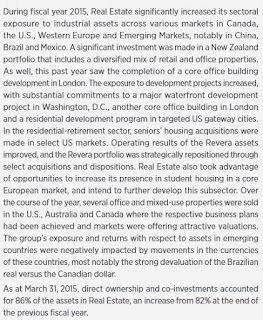 No doubt, there were strong gains in core markets like the United States, but PSP is taking quite a bit of real estate risk in emerging markets and it's also taking a lot of opportunistic real estate risk. Even risks in developed markets like New Zealand and Australia can whack PSP as their currencies are plunging in the latest rout in commodities. This just proves my point that the Auditor General of Canada really dropped the ball in its Special Examination of PSP Investments back in 2011. It's abundantly clear to me that the Office of the Auditor General lacks the resources to perform an in-depth performance, risk and operational due diligence on PSP or any other large Canadian public pension fund (that is a huge and increasingly worrisome governance gap that remains unaddressed). As I've stated plenty of times on my blog, when it comes to gauging performance, it's all about benchmarks, stupid! You can can have a monkey taking all sorts of opportunistic real estate risk, handily beating his or her bogus "cost of capital" benchmark over any given year, especially over a four or five year period. And let me be clear here, I'm not taking personal swipes at Neil Cunningham, the head of PSP's real estate portfolio. Neil is a hell of real estate manager and a good person. Unlike his predecessor, which I didn't particularly like, I actually like him on a professional and personal basis (he taught me how to implement my Yahoo stock portfolio and always had time to chat real estate with me). But when I see the shenanigans that are still going on at PSP in terms of some of their private market benchmarks, I'm dumfounded and wonder why the Board of Directors are still letting this farce go on. And why are benchmarks important? Because they determine compensation at PSP and other large Canadian public pension funds. Period. If the Board doesn't get the benchmarks in all portfolios right, it allows pension fund managers to game their respective benchmark and handily beat it, making off like bandits. 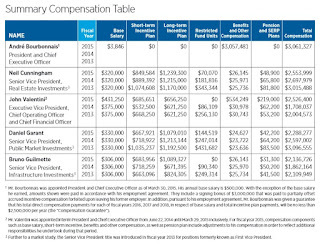 As you can see, the senior managers at PSP are compensated extremely well, far better than their counterparts at the Caisse and many other large Canadian public pension funds. No doubt, compensation is based on four-year rolling returns and PSP has delivered on this front, adding significant value but you have to wonder if they got the Real Estate and other private market benchmarks right from the get-go, would it have impacted the added-value and compensation of PSP's senior managers? (the answer is most definitely yes). By the way, you will also notice Mr. Bourbonnais made roughly $3 million in total compensation in fiscal 2015, which was a signing bonus, and in a footnote it says he was given a guarantee that his total direct compensation over the next three fiscal years will be no less than $2.5 million a year. It's important however to keep in mind that Mr. Bourbonnais walked away from a big position at CPPIB where he was head of private markets and pretty much had that amount guaranteed in terms of total compensation over the next three fiscal years, so even though this seems outrageous, it's not. It's only fair given what he walked away from. 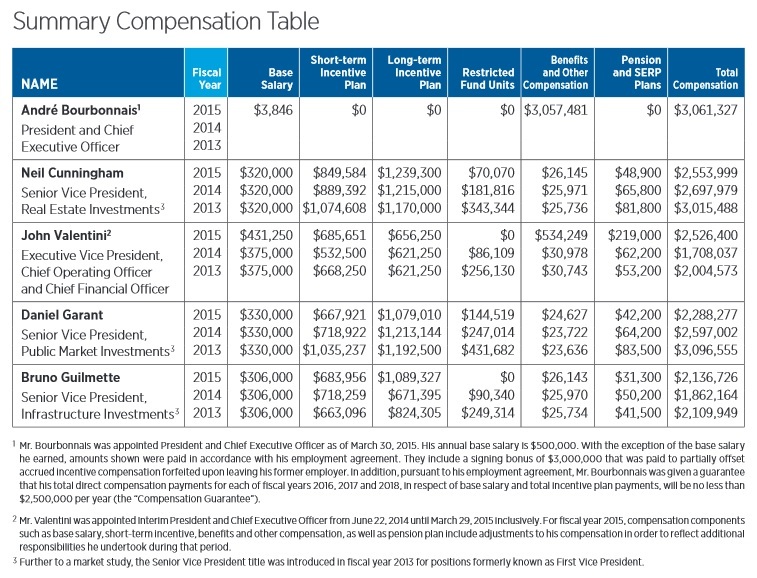 Also, John Valentini deserved his total compensation in fiscal 2015 given he was the interim president for a long time before André Bourbonnais got there. Daniel Garant's total compensation will rise significantly over the next three fiscal years too given the increased responsibility he has (although I'm not sure if he is CIO of Public and Private Markets like Neil Petroff was or CIO of Public Markets like Roland Lescure at the Caisse). In any case, PSP's fiscal 2015 results were excellent and there's no question that apart from criticism of some of their private market benchmarks, they're doing a great job managing assets on behalf of their contributors and beneficiaries. I would just add that PSP needs to do a lot more work in terms of diversifying its workplace at all levels of the organization, and do a lot more to hire minorities, especially persons with disabilities (that is another HR audit that should take place at every single large Canadian public pension fund, not just PSP). Once again, please take the time to carefully read PSP's 2015 Annual Report, it's excellent and covers a lot of topics that I forgot to cover or don't have time to cover. For example, over 73% of PSP's assets are now managed internally and the cost of managing these assets is significantly lower than any mutual fund. Back in May, André Bourbonnais, president and chief executive officer of the Public Sector Pension Investment Board, Winston Wenyan Ma, managing director and head of the North America Office at China Investment Corporation, Ron Mock, president and chief executive officer of Ontario Teachers Pension Plan, and Michael Sabia, president and chief executive officer of Caisse de dépôt et placement du Québec, participated in a panel discussion about Canadian pension plans and investment strategy. 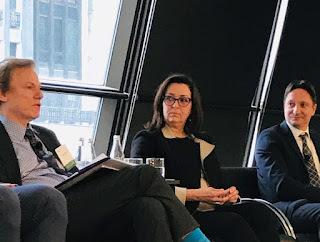 Bloomberg's Scott Deveau moderated the panel at the Bloomberg Canada Economic Series in Toronto (May 21, 2015). Please take the time to listen to this discussion here. Below, an older discussion with André Bourbonnais at a Thompson Reuters conference where he discussed CPPIB's approach to investing in private markets (October, 2014). Very interesting discussion, listen to his comments and answers to some excellent questions.